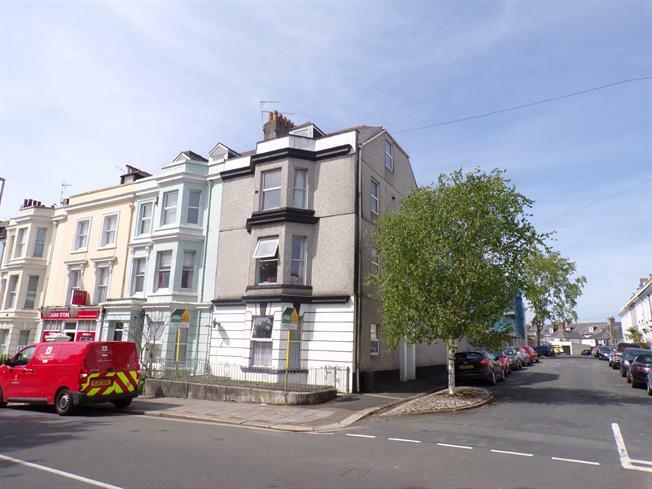 1 Bedroom Flat For Sale in Plymouth for Guide Price £70,000. Excellent opportunity for a first/investment buy situated in a desirable central location and offered for sale with no ongoing chain. The accommodation comprises spacious open plan living/kitchen area, double bedroom and bathroom/wc. Double glazed uPVC bay window facing the front. Radiator, carpeted flooring, ceiling light. Kitchen area comprises double glazed window to side aspect, range of matching base and wall mounted units, inset sink, integrated gas hob with oven beneath.